As with the previous worrying set of crime figures the latest statistics have once again not been reported by Oldham Council or the local press. 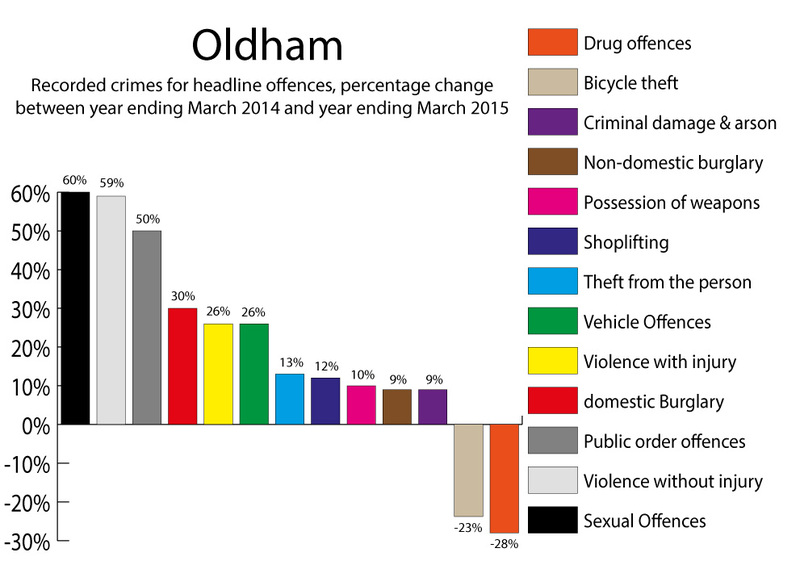 In the year to March 2015 total crime in Oldham was up 20% the highest rise in Greater Manchester. Oldham crime in the year to March 2015 saw sexual offences up by 60%, violence against person up 42%, domestic burglary up 30%, theft in Oldham increased by 16%, theft from person by 13%, vehicle offences increased 26% and “Miscellaneous crimes against society” up 68%.